In December 2003, I finally entered the digital age when I got a Nikon D100 DSLR. Having been a long-time slide collector and trader, I expected a serious case of separation anxiety. It didn’t happen. Instead, I was struck by all the advantages of digital photography. No longer did I have to stop every 36 shots to change film. Nor, for that matter, did I have to worry about having enough film, nor the cost of film and processing. I also recognized that digital allowed me to shoot in lighting conditions that would have been a waste of film with slides. My mantra soon became, a) It doesn’t cost anything to shoot, b) Photoshop can probably fix it, and c) God created the “Delete” button for a reason. Almost immediately, I embraced the new technology. I realized that slides were to digital what record albums were to compact disks. If nothing else, my life suddenly became less expensive! No more “breeding” yellow boxes. Instead, I did have to come up with a new organizational system, one which I am still refining, some 14 years later. But here was the best part. I could take a photo of an interesting plane and, within an hour, that photo could be sitting in the inbox of every editor of every aviation magazine in the world. There really weren’t too many downsides to digital, and there were a LOT of upsides. As luck would have it, I was working at Miami International Airport in 2003. What a terrific place to have unlimited ramp access! You could count on seeing something interesting practically every day. Airlines were coming and going practically every week. Over the course of a year, it would not be unusual to see one aircraft adorned with three or four different airline names…some airline companies barely lasted long enough for the paint to dry on the airplanes. Then there were the major MROs (Maintenance, Repair, and Overhaul) organizations on the north side of the airfield. You never knew what was going to show up, and you never knew what airline color scheme it might be wearing when it flew away. Except I sat down with the director of marketing of one of the MROs and worked out a sweet deal. I’d take all the photos they wanted of their handiwork if they would help me take them. We got to the point where they would roll out the lift truck to help me shoot from unique angles. Life was good. Here, in no particular order, is a selection of photos I took during my first month using a digital camera in Miami. It’s amazing how much the landscape of “common” airlines, airliners, and color scheme has changed in 14 years. I hope you will enjoy this flash from the past. 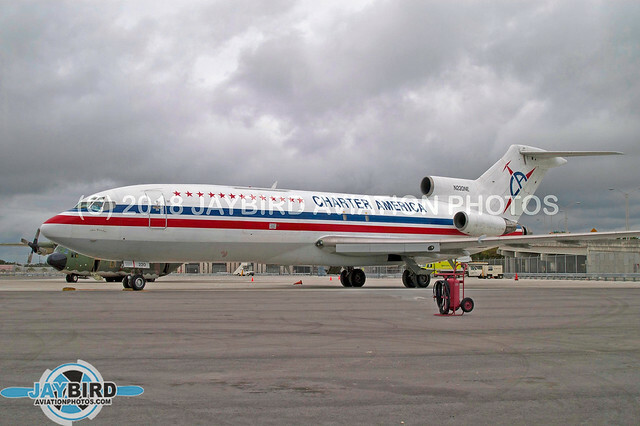 Charter America was one of a regular stable of nonscheduled cargo airlines that frequented Miami. N220NE (B727-31F, MSN 18905) began life as N840TW. If that registration rings a bell, it is because, on April 4, 1979, it suddenly went out of control and into a dive, coming perilously close to the speed of sound. The pilots eventually regained control and landed safely. It was later converted to a cargo carrier and was operated by several airlines, including Express One International, Emery Worldwide, Charter America, and Custom Air Transport. Air France has maintained a unique presence at Miami International Airport for years. Once upon a time, they provided service between Miami and French territories in the Caribbean with Caravelles. Over the years, the aircraft type has been upgraded to today’s Airbus A320. However, Air Caraibes was providing code-share service on off-days. 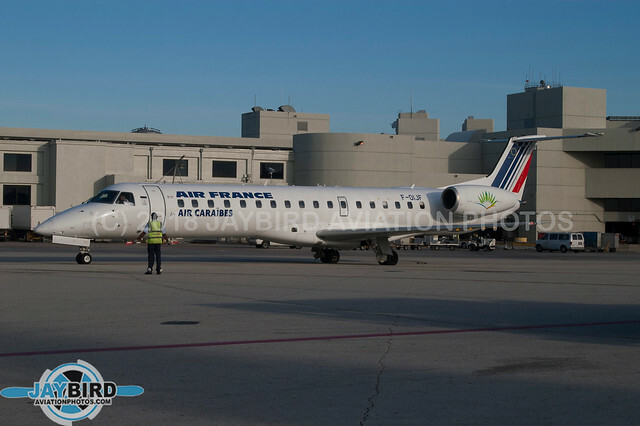 Most of the time, the flight was operated by F-OIJF, an Embraer ERJ‑145MP (MSN 145362). This aircraft was delivered new to Air Caraibes. It is now registered as G-CGWV, operated by Eastern Airways. One of the more unique visitors to MIA was UR-GLS an Antonov AN‑26B (MSN 10109) belonging to the SRX Group, parent company to Ukraian company Avialeasing. The cargo plane was based at nearby Opa-Locka. Avialeasing was permitted to carry cargo outside of the United States under a bilateral agreement between the US and the Ukrainian government. Merlin Airways was one of several airlines operating small cargo aircraft into Miami. Here is N770ML, (MSN 27566), a Metro III. More accurately, an SA-227BC. It was delivered in 1991 to Aerolitoral as XA-RWS. It was painted in Aeromexico colors, in passenger configuration. 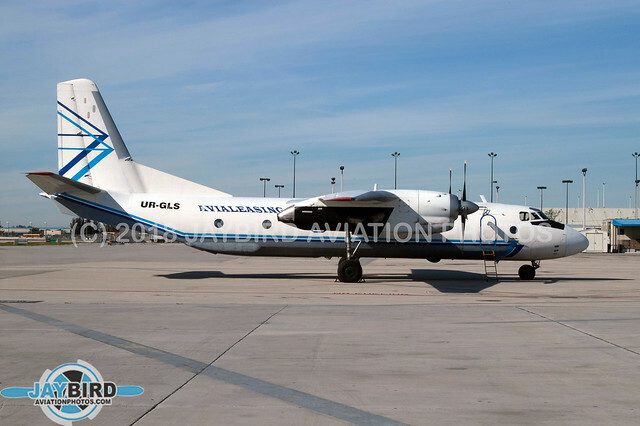 In November, it was sold to Merlin Airways in 2000 and reconfigured for carrying cargo. In 2011, it was sold to Career Aviation Company and later reregistered N770TR. N807DH was a DC-8-73CF (MSN 45990) and was one of a number of cargo aircraft operated by Astar Air Cargo on behalf of DHL Worldwide. N780FT began life as a DC-8-63, and was delivered to Flying Tigers in July, 1968 as a freight dog. 9 years later, it was sold to Cargolux and reregistered TF-CCV. In January 1984, the plane was bought by Evergreen International, where it was converted to a -73CF and reregistered N816EV. It made the circuit among cargo airlines, and ultimately ended upff as OB-2059-P, flying for SkyBus Cargo Charters. In late January of this year, it was involved in a heavy takeoff from Medelin. Subsequently, the airline was banned from Columbian airspace. 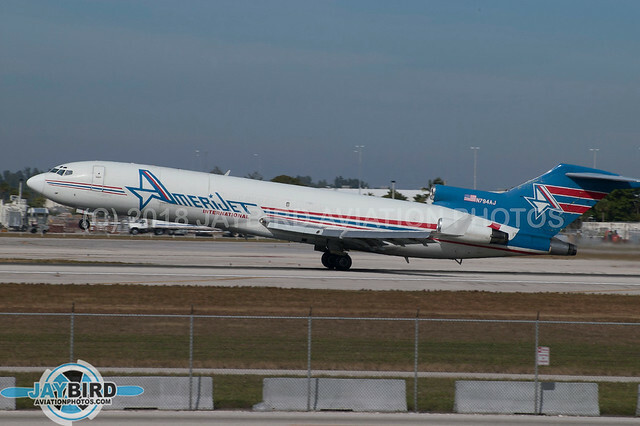 For years, Amerijet’s Boeing727s were virtually synonymous with Miami. Very recently, the last 727 left the fleet. But back in 2003, this was all the company flew. N794AJ (MSN 21243) is a B.727-227(F) was originally delivered to Braniff in April 1976, as N442BN. When the carrier ran into trouble in the early 1980s, this aircraft was sold to PeoplExpress as N567PE . It remained in that registration after Continental bought PE. Later, it was used by Pan Am and Delta before being sold to Amerijet and converted to a freighter in 1994. The 727 served with Amerijet until 2011, when it was sold to Zero Gravity Corporation. By 737-200 standards, C6-BGK (MSN 22086) , a B.737‑275, led a relatively boring life. It was delivered to Pacific Western Airlines in May 1980 as C-GLPW. In 1987, Pacific Western was merged into Canadian Airlines International. 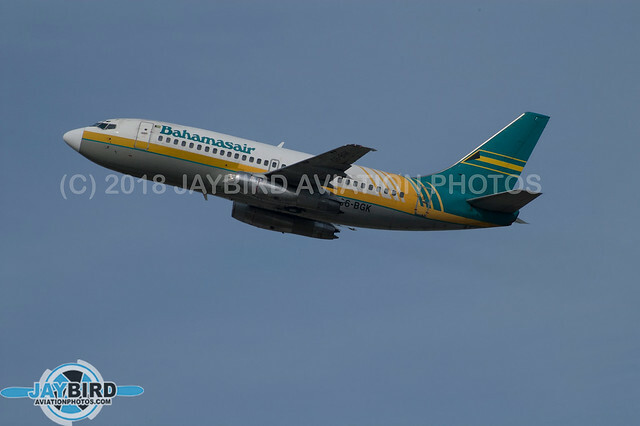 10 years later, the 737 was sold to Bahamasair, where it served until 2008, when it was scrapped at Opa-Locka. ATA Airlines was an early operator of the Boeing 737-800. 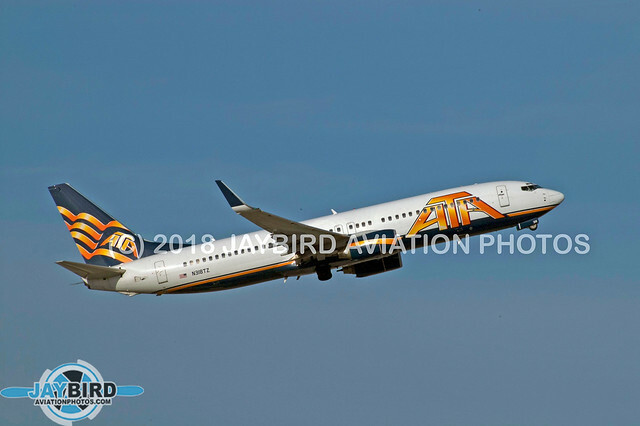 N318TZ (MSN 28247) was a B.737‑83N (w), one of 43 -800s flown by ATA Airlines. When the carrier ceased operations in 2008, the plane was leased to Orenair, and, later, Norwind Airlines of Russia as VP-BPY. 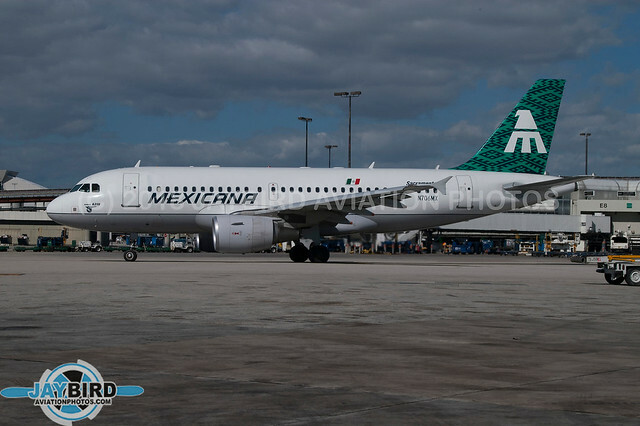 N706MX (MSN 1706) was an A319-112 delivered to MexicanaMexicana in April 2002. It was one of 27 operated by the carrier. When the airline ceased operations, the A319 went to Mongolian Airlines (later Hunnu Air) as JU-8888. In the late 1990s and early 2000s, s operated a large fleet of Beech 1900s, which were replaced by 1900Ds. 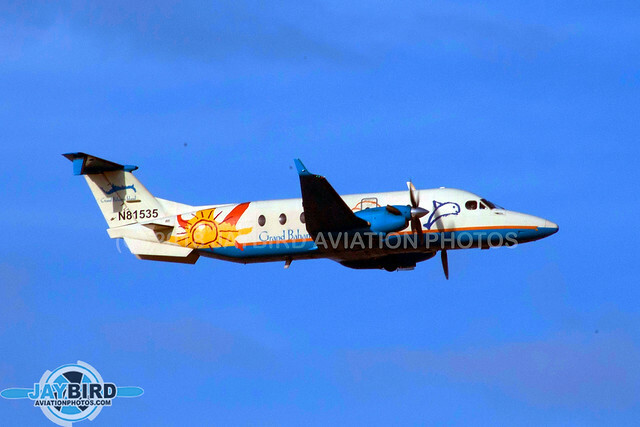 N81535 (MSN UE-147) was painted up in special Grand Bahamas Island colors. 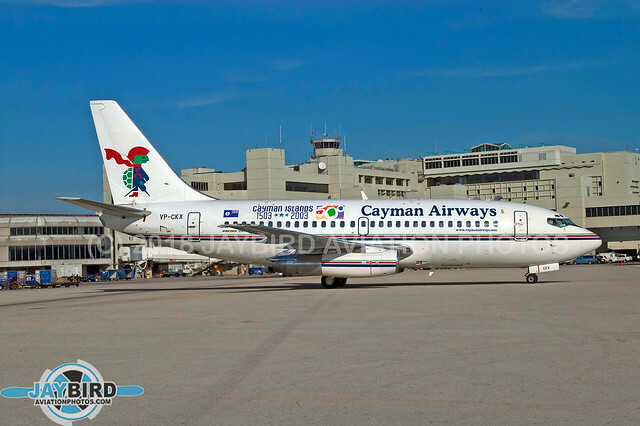 Cayman Airways was one of the last passenger airlines operating scheduled service into Miami with 737-200s. VP-CKX (MSN 23162) was a B.737‑236, originally delivered to British Airways as G-BKYD in October 1984. It was sold to Cayman Airways in 1995, as VR-CEF. The following year, when Cayman Islands took on the “VP-C” prefix, the plane obtained its final registration. N991LR (MSN 561) was most likely the last A320-233 to wear LACSA titles after the carrier was absorbed into Gruppo TACA. 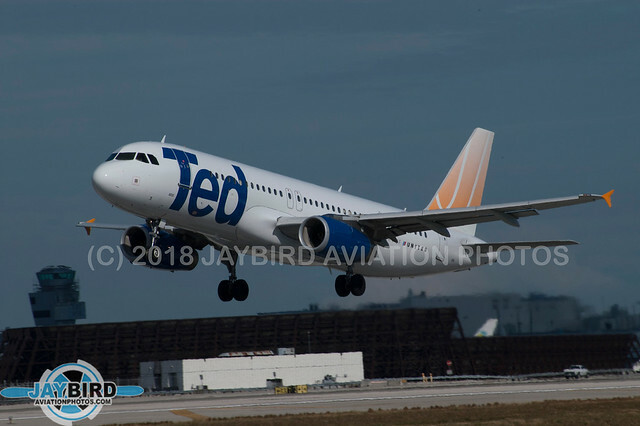 Once it left the fleet in 2005, it has flown with several carriers, including Aigle Azur (F-HBAD), Belle Air (F-ORAE), Avion Express and Thomas Cook (LY-VEP), and Dominican Wings and Cubana (HI968) It is currently flying with Avion Express. Air Wisconsin CRJ-200LRs have been around the block. N434AW (MSN 7322) was originally delivered to Midway Airlines as N582ML in June 1999. Air Wisconsin had established operations as a United Express carrier. 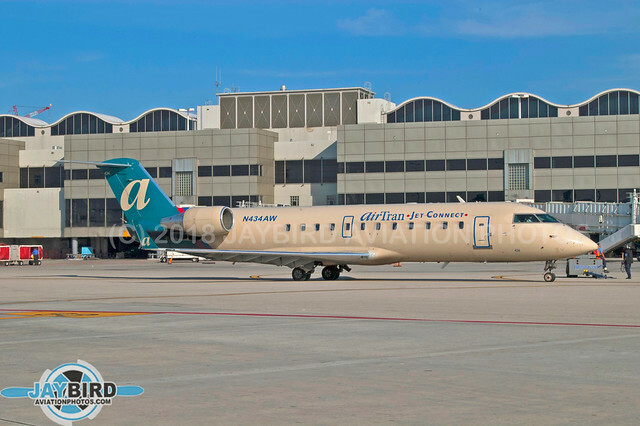 In the fall of 2003 AWAC acquired ten Canadair CRJ regional jet aircraft from bankrupt Midway Airlines, including this one, and became a feeder for AirTran Airways under the name AirTran JetConnect, but this relationship was discontinued in July 2004. In 2005, Air Wisconsin became a US Airways Express carrier and N434AW was repainted in US Airways Express colors. Following the merger with American Airlines, 434 was repainted in American Eagle colors. 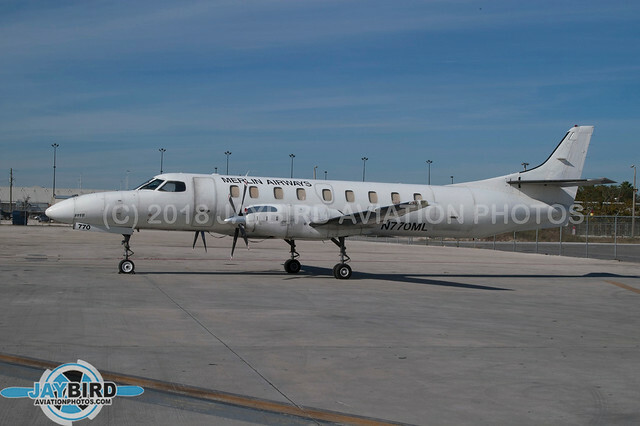 Now, with the termination of its contract with American, this plane will now fly in United Express colors. 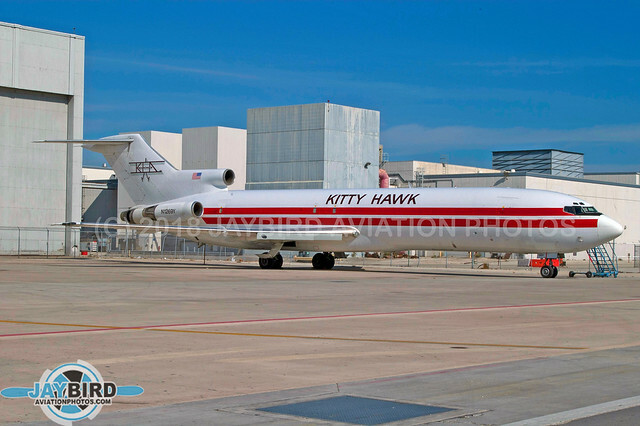 Kitty Hawk Air Cargo was one of several air freight carriers that served Miami in the early 2000s. N1269Y (MSN 21269) was a B.727‑243(F). It was delivered to Alitalia in November 1976 as I-DIRC. 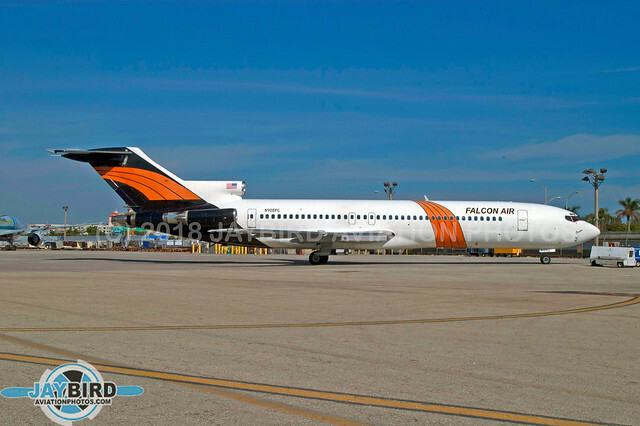 When PeoplExpress began adding 727s to its fleet, it bought this ship in August 1984, and reregistered it as N576PE .Two and a half years later, the carrier was bought by Continental Airlines and three years later, the 727 was, again, reregistered as N17406. In November 1995, the plane was sold to Hunting Cargo Airlines and registered EI-EWW . Two years later, it was sold to TNT-Sterling European as OY-SEU. 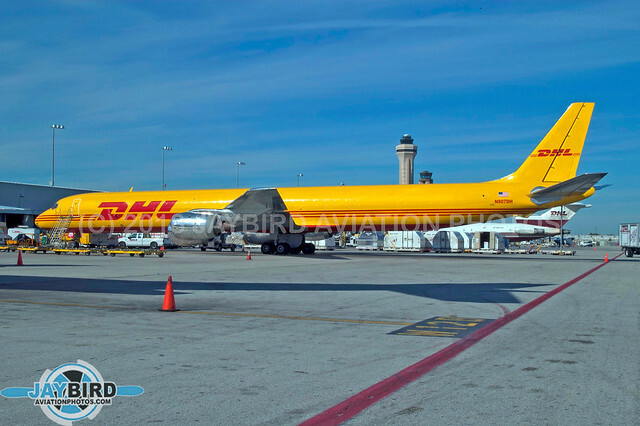 Finally in 2000, the 727 came back to the US with Kitty Hawk Air Cargo. In the beginning of the 21st Century, nothing said “Miami International Airport quite like an Arrow Air DC-8. N8968U (MSN 46069) was one of the last DC-8-62Fs flying in the world. It was delivered to United Airlines in September of 1969, where it was used primarily on the ultra long-range JFK-Honolulu route. In 1982, it was leased to Arrow Air in passenger configuration and was leased briefly to LOT Polish Airlines when the carrier’s IL-62s were grounded following a fatal accident. 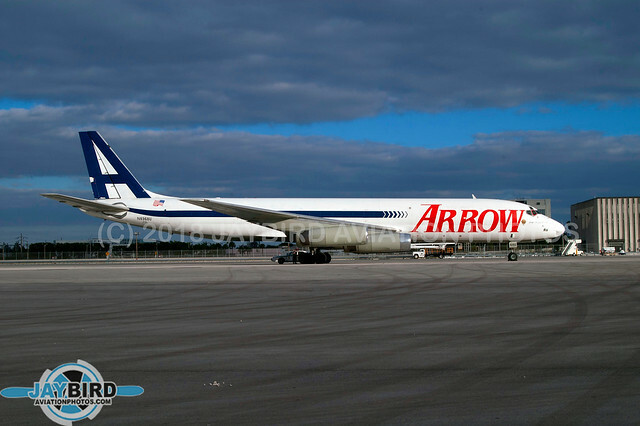 It was returned to Arrow in 1988 and converted to a freighter. It was leased for a short time to Canarias Cargo, but the Spanish airline soon failed and the -62 ended up back with Arrow. 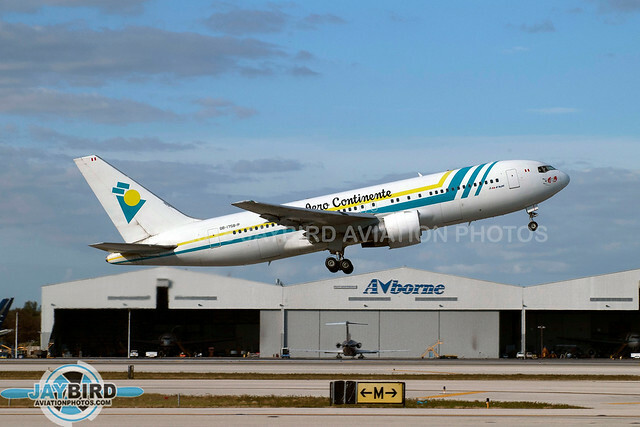 Aerocontinente was one of those airlines we loved to see in Miami. We could just about guarantee that the company was going to last terribly long. Once they started flying, it was a race to see who could get a good photo before they went out of business. My shot of OB-1758-P (MSN 23057) was probably my best effort. This B767-205 was first delivered to Braathens SAFE as LN-SUV in March 1984. During its lifespan, this 767 flew for ten different airlines and wore 11 different registrations. Lloyd Aereo Boliviano was one of the last of the old-time South American airlines, having been formed in 1925. 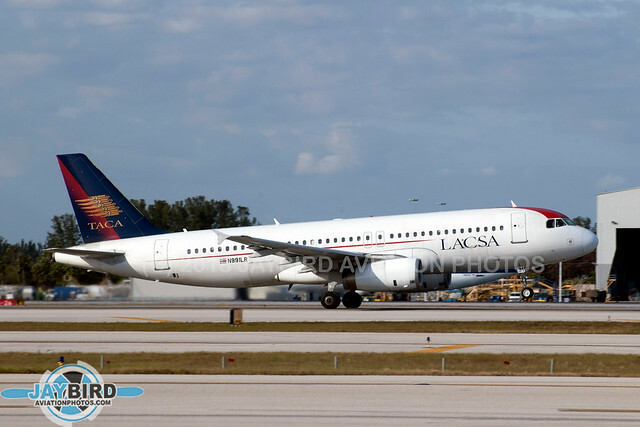 The carrier flew a variety of aircraft into Miami, including the A310, Boeing 737-300, and even the 727-100. 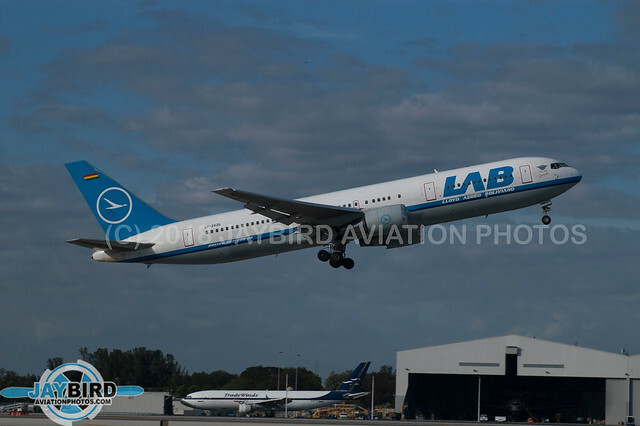 The 767-300 represented the latest technology when LAB operated it in the early 2000s. CP-2426 (MSN 24349) was a B767-3P6ER, having been originally delivered to Gulf Air as A4O-GG in November 1988. It is now flying as YV528T with Santa Barbara Airlines. Watch this space for some more Golden Oldies from Miami and many other airports from around the world.